When Furious 7 came out last week, it was heralded by many as the kickoff to the 2015 Summer Movie Season, which was strange, considering it's still April. (And just barely April.) By that rationale, it’s also the start of Oscar Season, or the 2017 Fall Movie Season, or the 2019 Dawn of Human Awakening Season. That said: You can draw a straight line from Furious 7 to the upcoming onslaught of summer movies: It’ll be here, and over with, before you know it. 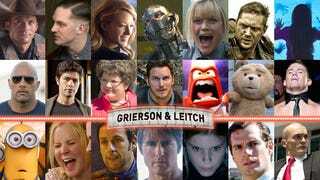 Thus, our Grierson & Leitch week-by-week guide to what's coming, taking you from this weekend to Labor Day. Now, all schedules this far out are subject to change, but this is pretty close to how it will go down. Get ready for lots of superhero flicks, lots of kid flicks, and, yes, Ted 2. Ricki and the Flash will net Meryl Streep her obligatory Oscar nomination this year. Masterminds is a star-studded comedy—Zach Galifianakis, Kristen Wiig, Owen Wilson—whose trailer looks obnoxious and too quirky by half. That's all right, though, because the big show this weekend is the Fantastic Four reboot, which is encouraging partly because of its cast (Miles Teller, Michael B. Jordan, Kate Mara, and Jamie Bell), but mostly because of its director, Josh Trank, who did the terrific and original Chronicle. Also a fun subplot: It features co-star Chet Hanks, also known as the badass rapper Chet Haze. The Concourse is Deadsipn's home for culture/food/whatever coverage. Follow us on Twitter, too.